Expert British stunt man Jim Dowdall, veteran of Hollywood movies including Bond, Bourne and Indiana Jones, drove the all-new Jaguar XF 240 metres across a high-wire to demonstrate the new XF’s lightweight aluminium-intensive construction. The new XF is 80kgs lighter than its closest competitor, resulting in best-in-class efficiency (over 70mpg) and CO2 (104g/km). It brings an impressive blend of refinement, fuel economy, dynamics and design to the business car segment. It will make its global motor show debut in New York on 1st April. The original XF’s sleek exterior and luxurious interior made it a desirable, aspirational vehicle. Combined with benchmark driving dynamics, the XF was like nothing else in the segment and has gone on to become Jaguar’s most-awarded car. The car retains its predecessor’s core attributes but uses Jaguar’s advanced aluminium-intensive architecture to elevate them to a completely new level. 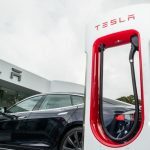 Featuring 75 per cent aluminium, the architecture enables weight savings of up to 190kg over the outgoing model and an increase in torsional stiffness of up to 28 per cent. The architecture also delivers dramatic improvements in packaging and the proportions so essential to Jaguar design. Though 7mm shorter and 3mm lower than the car it replaces, the all-new XF’s 2,960mm wheelbase is 51mm longer, enabling class-leading rear seat space with more legroom, knee-room and headroom. The efficiency gains inherent in the lightweight aluminium construction are complemented by the all-new XF’s refined, powerful engine range. The 2.0-litre Ingenium diesel engines are available in 163PS/380Nm and 180PS/430Nm ratings and are offered with specially-optimised six-speed manual- and eight-speed automatic transmissions. In 163PS manual form, the all-new XF delivers 104g/km CO2 and is the lightest, most efficient non-hybrid diesel model in the segment – 80kg lighter than its closest competitor. All other engines are matched exclusively to eight-speed automatic transmissions. The 3.0-litre V6 twin-turbo diesel benefits from a host of advanced technologies which boost efficiency and refinement still further, and raise output to 300PS and a remarkable 700Nm of torque. Also available is the renowned 3.0-litre V6 supercharged petrol engine with 380PS/450Nm torque. As with XE, rear-wheel drive ability is enhanced too. All-Surface Progress Control, developed for low-speed driving in adverse conditions, automatically manages the brakes and the throttle to deliver the best possible traction, enabling the car to pull away smoothly and without drama: the driver only has to steer. Ian Callum, Director of Design at Jaguar says: “In creating the all-new XF, as a design team we have been driven by discipline, the discipline of simplicity. 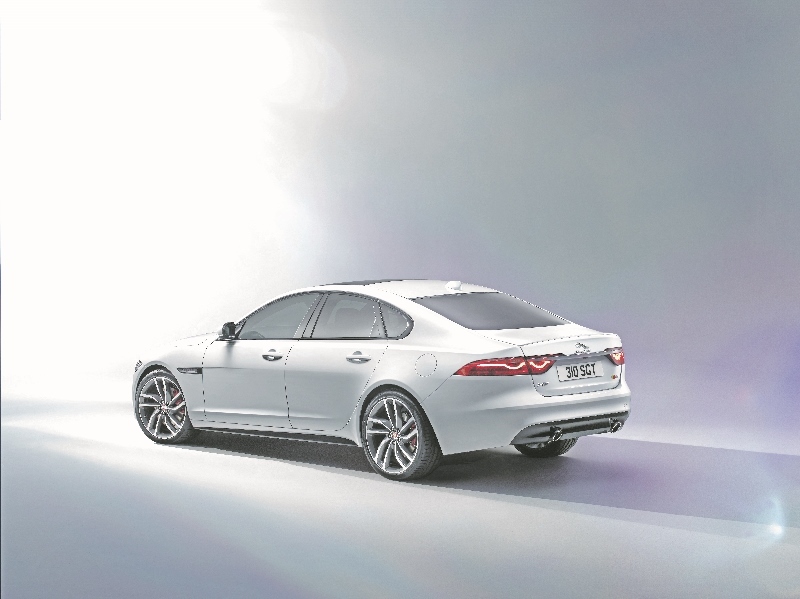 Every exterior line on the XF has a clear purpose – nothing is superfluous. Achieving that simplicity takes time and requires great determination; it’s all too easy to add lines to a car, but much harder to add character by leaving lines out. 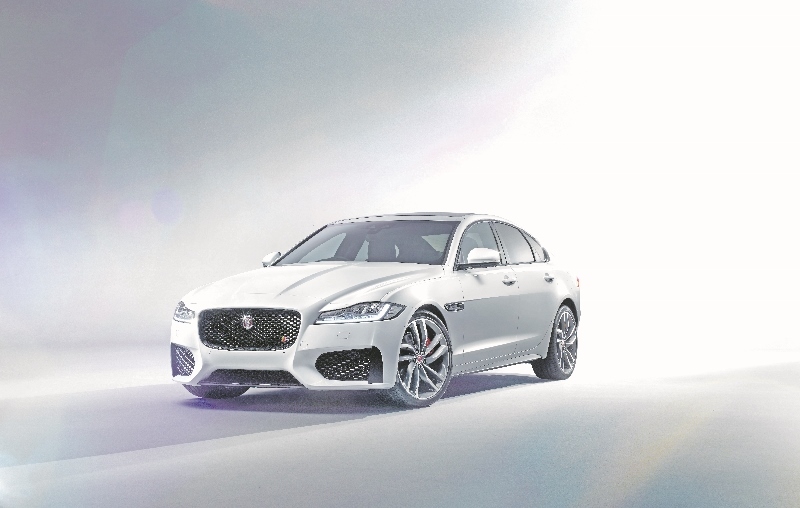 “Inside too, we have been driven by the desire to ensure the XF’s cabin is as comforting as it is comfortable. New technology, including our new 10.2-inch touchscreen, is combined carefully with materials that cosset and reassure. The all-new XF has a clear sense of calm and strength, both outside and inside – and I’m proud of my team for delivering that,” he adds.